The collapse of France and the Low Countries in 1940 was one of the most dramatic and unexpected events in the Second World War. France was the world’s leading military power. Its ally Britain was the world’s leading naval power. Both had stronger economies than Germany, and could draw the resources of the world’s largest empires. Yet, in a short campaign the Germans defeated France, Britain, Belgium and the Netherlands. There have been arguments about why ever since. Here are some of the arguments and where to go to gain insights into the campaign. Had the Germans invented a new form of warfare? Tanks supported by dive bombers cutting a path through defences weakened by fifth columnists and parachutists. This term was coined by the media, not the Germans. It was more a description of the results of the battle rather than a deliberate tactic. However, the German invasion of the Netherlands was preceded by an advance guard dressed as Dutch policemen and audacious airborne landings seizing the ground for the panzers. The end of hostilities was marked by the bombing of Rotterdam. 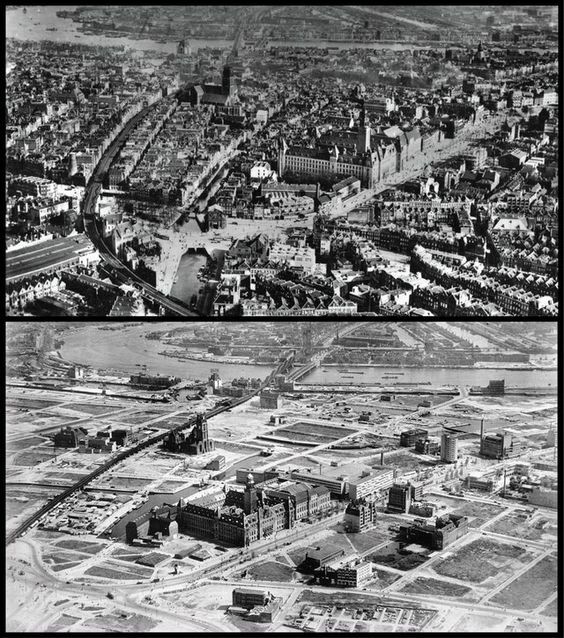 The bombing of Rotterdam was reported by the world media as “Nazi frightfulness”, the airborne landings cost the Germans aircraft and men in what was really just a feint. There is still much that can be seen in the Rotterdam area. The first historian to write objectively about the Fall of France was a medieval historian called Marc Bloch, who served as a staff officer in the French First Army 1940 and was evacuated through Dunkirk. He wrote his book “Strange Victory” in September 1940 while in hiding. It would only be published in 1947, two years after his execution in June 1944 as a member of the resistance. His thesis was that the French generals had not noticed that the rhythm of modern warfare had changed its tempo and were incapable of thinking in terms of a new war. The German triumph was a triumph of intellect. There were many shortcomings in French generalship. The French Army was poorly prepared and under trained for modern war. The French “Methodical Battle” assumed that warfare had not changed significantly since 1918 and operated at a pedestrian pace. The Plan D strategy was predictable and left the allied armies unbalanced and without a reserve. 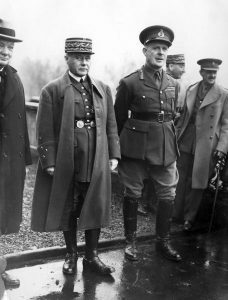 Bloch’s own observations left him very critical of the General he served under, and of the French state. There is no French national museum of the Second World War. However, the Fort des Dunes near Dunkerque has a good audio visual display about the course of the 1940 campaign, in a location that is also a reminder of the gallant defence by the many French soldiers who fought bravely despite the disadvantages. 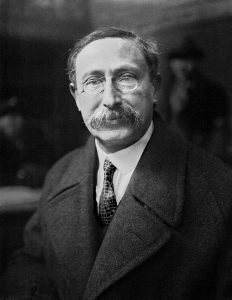 The Jewish socialist Léon Blum, three times prime minister of France was a hate figure for the right. 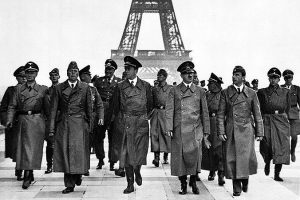 Bloch was not alone in thinking that France as a country was ill prepared for a second war against German. British generals such as Brooke and Spears commented at the time about the mood in France. American Journalist William L Shirer reported from the German side. His book on the Collapse of the Third Republic is a very readable account from 1870. Alister Horne’s To Lose a Battle describes France’s unstable democracy. 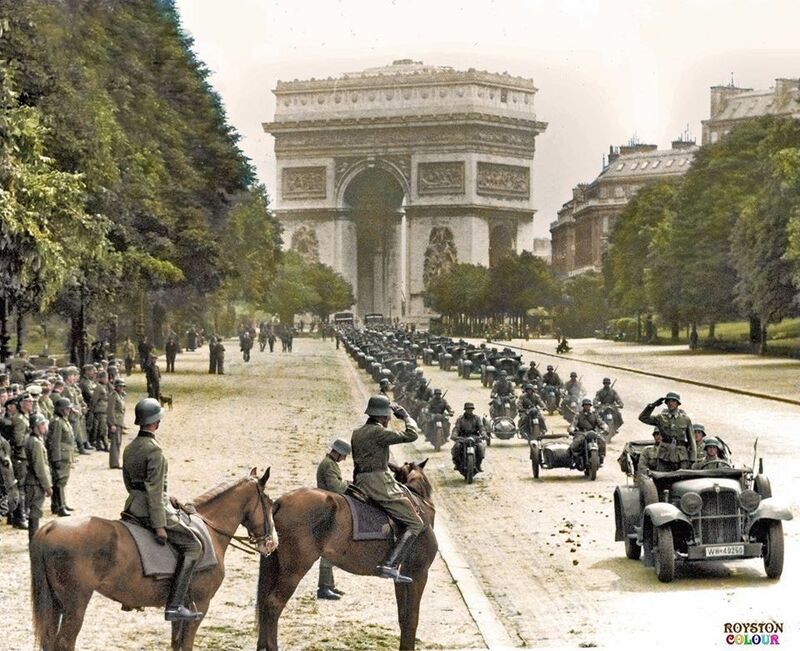 There isn’t a museum of 1930s France and the debacle of 1940 is not a matter for celebration. However there are sections in several museums about the events of the eras. The Memorial at Caen played a rather haunting recording , made by the Germans in secret, of the French delegation discussing the 1940 armistice terms with their government in Bordeaux. 4. The Germans had better tanks? One of the early myths of the 1940 campaign was that the Germans had more and better tanks. In fact the allies had more tanks, which were generally more heavily armed and armoured than German tanks. However, German tanks had much better radios and were better supported by other troops and maintenance services. One French tank may have been a match for a single German tank, but the Germans hunted in packs. 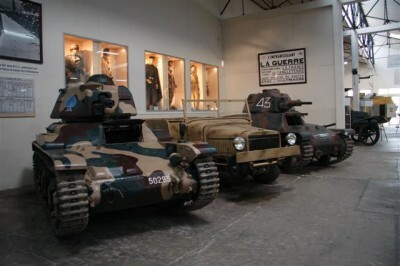 The best place to see 1940 French armour is the French Musee des Blindees Army Tank museum at Saumur. The nearby battlefield site of the doomed defence of the Loire bridges is a reminder of the gallantry shown by many French troops, often overlooked in accounts of the campaign. The largest tank battle was between Gembloux and Hannut in Begium where the tanks of the French Cavalry corps took on two panzer divisions. 5. Fifth Columns and Frightfulness? Although the SS perpetrated most of the war crimes in 1940, the German Army was also capable of barbarity. 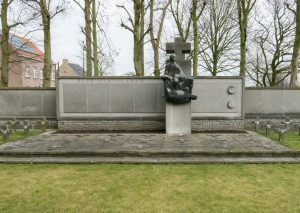 Between 25 and 28th May soldiers from the German 225th Division executed between 85 and 170 Belgian civilians in the village of Vinkt after using them as human shields. The invasion was accompanied by a mass flight of Belgian and French civilians who clogged the roads. 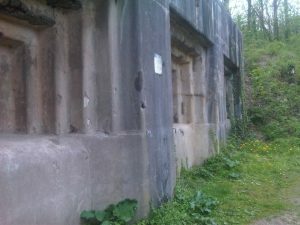 There were instances where German troops executed prisoners of war and civilians. The extreme right and left factions in Europe in the 1930s led to suspicion of Nazi sympathisers and fears of fifth columnists and spies. Apart from a handful of troops that crossed the border in Dutch police uniforms there were no fifth columnists. However, fears of fifth columnists and spies hampered the allies armies and fleeing refugees clogged the roads. British and French authorities treated civilians with suspicion and there are well documented cases of summary execution of Belgian and French civilians. There are no memorials to the dozens, if not hundreds, who perished at the hands of nervous soldiers. 6. The British were to Blame? The British often see the Fall of France as merely as the overture to the national myth of Battle of Britain. But would there have been any need for the Battle of Britain if the British had done more to win the battle for France? 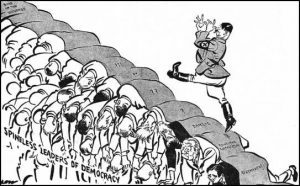 The British took the lead in both appeasement at Munich and in declaring war in 1939. Britain had the stronger economy and should have been an equal partner. Yet much of British re-armament was directed to defending Britain from air attack and the supposed deterrent of its strategic bomber force. 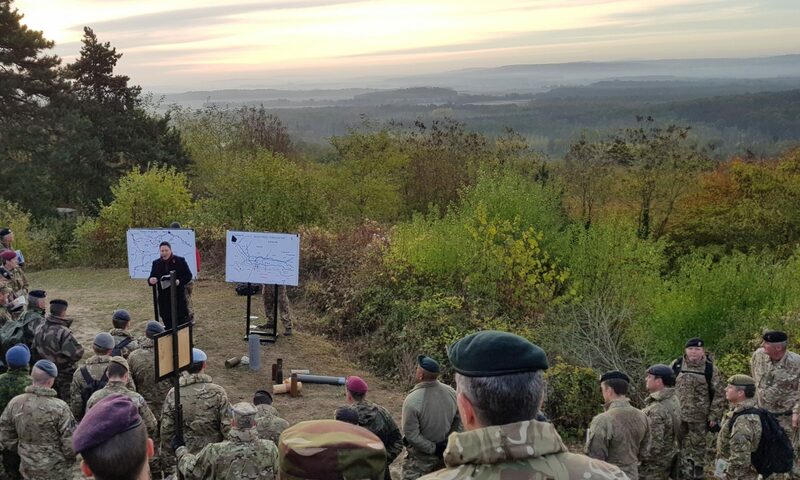 The excellent British integrated air defence system did not extend to its French Ally. The British neglected their land forces and had no provision for expeditionary force until February 1939. The French had hoped that the country which claimed to invent the tank and pioneered mechanised forces would provide a professional mobile corps. Instead it produced a partially trained and ill-equipped conscript force. 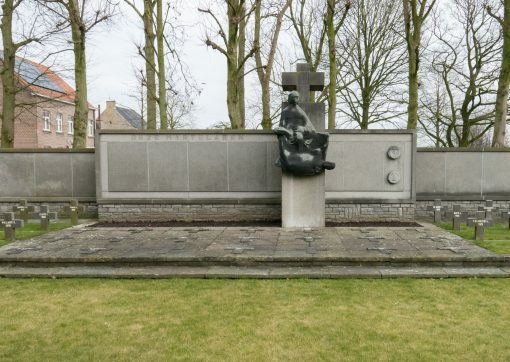 The British government were keen to deny Dutch airfields to the Germans and enthusiastic supporters of the “Breda Extension” to the deployment plan which committed the French strategic reserves to an ill-fated dash to the Netherlands. Despite Gort’s status as the commander of an allied contingent he seems to have made little effort to influence overall strategy. Nor did British commanders, with some notable exceptions make any better use of the Phoney war than the French to prepare their soldiers for the type of war the Germans would wage. There is no single place to explore British culpability, except perhaps, the Arras area. Heavily fought over in the First war, the city was the site of GHQ in 1939-40. The Press were established in the Hôtel de l’Univers where General Mason-Macfarland, the head of the intelligence branch on 13th May gave the extraordinary briefing that he doubted that “Ever the British Army been placed in a graver position that that which the governments of the last twenty years placed it” Perhaps the visitor should follow with a critical eye the famous Arras counter attack from Vimy ridge and compare British capability and conduct at Arras and Cambrai in two world wars. 7. Command of the Air? The idea of stuka dive bombers as flying artillery to support Panzers is an iconic image of the 1940 campaign. It is true that German air superiority played a big part in demoralising the allies, but the German air force wasn’t really dedicated to supporting the ground armies. The Luftwaffe made some important interventions at key moments, but German success was as much a consequence of allied inefficiency and poor long term planning. The Armee d’lAir and RAF fought hard and with stunning bravery – and the campaign cost the Luftwaffe dearly. 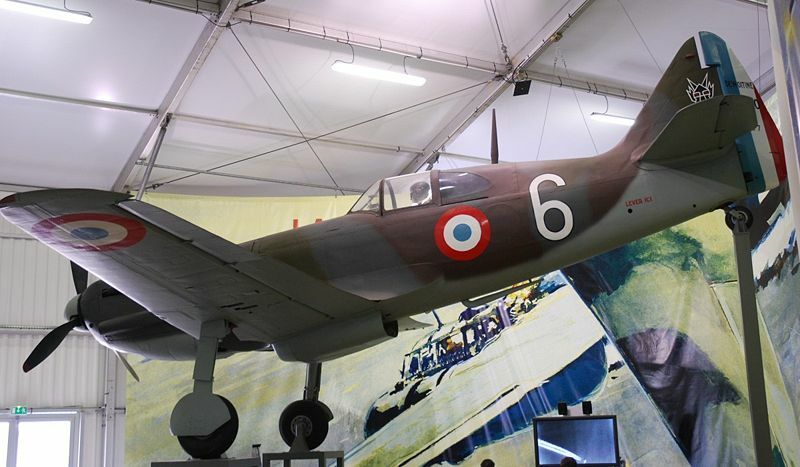 Unlike many British or American warbirds, few French aircraft from 1940 survived the war. The Musée de l’Air et de l’Espace, Le Bourget Airport, near Paris, has examples of two of the more advanced French fighters the Ms406 and Dewotine 520. 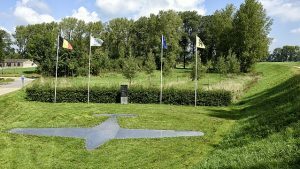 The aerial battlefields over Sedan and the doomed RAF mission to the Bridge at Maastricht are possibly the best places to contemplate the air battles. The failure of the Allied intelligence services to identify the timing and direction of the German attack is on a par with Pearl Harbour. Despite indications of troop movements and bridging, the Germans achieved surprise, and allied reconnaissance aircraft failed to notice columns of German armour heading into the Ardennes. As all too often in history those in charge tended to ignore information that contradicted expectations and plans. Nor did the allies understand and react to the evidence of German capabilities despite the evidence from the Polish campaign. The intelligence picture was complicated by attempts by the German resistance to Hitler warning the allies of planned dates for the invasion which were then postponed, and the accidental release of an early draft of the German plans when a courier landed by accident in Belgium. The 1940 campaign pitted the Germans against a coalition of Britain, France and the neutral counties invaded by the Germans. Despite the successful coalition of 1914-18 the Allied coalition of 1939-40 failed spectacularly. Although appeasement may have given time to re-arm, it sacrificed credibility among potential allies. 1940 might have turned out differently if Belgium had remained in alliance with France and Britain. Nor did the British and French invest in the liaison organisation that evolved between 1914 and 1918. The story of 1940 is of a coalition unravelling with each party distrusting the other. 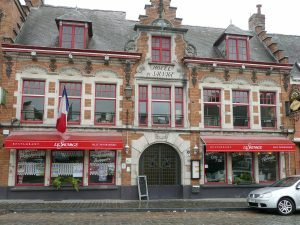 One place to explore this is in the historic Hotel du Sauvage in Cassel where some of the more contentious inter allied discussions took place concerning the evacuations at Dunkirk. 10. Operational Genius, a Cunning plan and Luck? the German military historian Karl Heinz Frieser, debunked many of the myths about the campaign. The campaign succeeded well beyond German expectations. That it did was a result of some original thinking by progressive German officers in the face of deep scepticism by others, rank disobedience by relatively junior panzer commanders such as Guderian, effective doctrine that enabled the Germans to operate much more quickly than the French and a slice of luck. There is a lot to see in the land campaign, from the moves through the Ardennes, the assault crossings of the River Meuse on a fifty mile front and the advance across northern France. 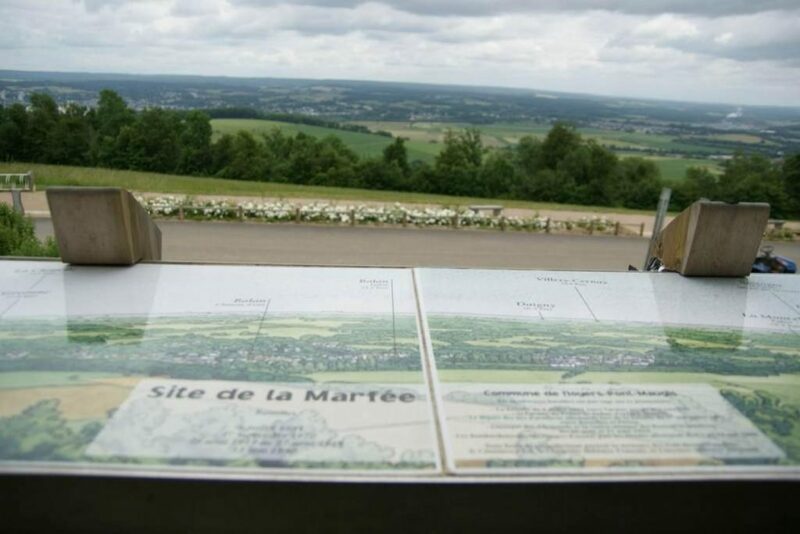 Contact us for a discussion about the battles and battlefields of the 1940 campaign.